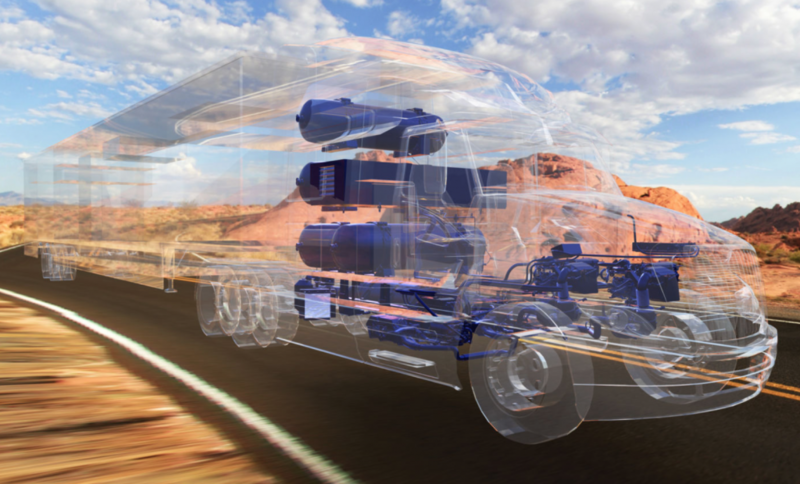 In 2017, we took a look at Project Portal, Toyota’s plan to test a heavy-duty, zero-emissions truck at the Ports of Long Beach and Los Angeles in California. The idea was to power an 80,000lb (36,288kg) Class-8 tractor-trailer with hydrogen fuel cells and then put it to work hauling shipping containers at one of the nation’s busiest ports. 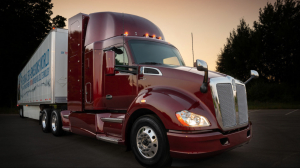 Now, Toyota has taken the lessons it has learned from 10,000 miles of hard work as a drayage truck and built a second-generation vehicle with even more range. Toyota has now built a second hydrogen fuel cell-powered heavy-duty truck. This one uses the same Mirai-based powertrain but has 50 percent more range. The first truck, known as Alpha, used a pair of development powertrains from the Mirai sedanrunning in series. These gave it 670hp (500kW), 1,325ft-lbs (1,796Nm), and a range of 200 miles (321km). Even though Toyota has not increased the capacity of the 12kWh lithium-ion batteries on the new Beta truck, it has managed to boost that range by 50 percent to more than 300 miles (482km) between refueling. Beta retains the same power and torque output as its predecessor. 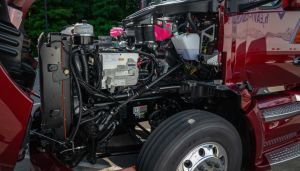 The second-generation truck now sports a sleeper cab and a revised hydrogen fuel storage system that frees up more interior space without requiring a longer wheelbase. Toyota says that Beta is also more maneuverable than the earlier Alpha truck. Beta was unveiled on July 30 at the Center for Automotive Research (CAR) Management Briefing Seminars in Northern Michigan. A look under Beta’s hood. r daily duty cycles involve a lot of stop-start driving—good for regenerative braking—and plenty of idling. And there’s no need to build out extensive refueling infrastructure since the journeys are localized to a relatively small geographic area. Replacing existing fleets of dirty diesel vehicles with ones that emit nothing but water would surely be a good thing as far as local air quality is concerned.